[+] Efficient origami design: Tree method, TreeMaker, uniaxial base, active path, rabbit-ear molecule, universal molecule, Margulis Napkin Problem; cube folding, checkerboard folding; Origamizer, watertight, tuck proxy. 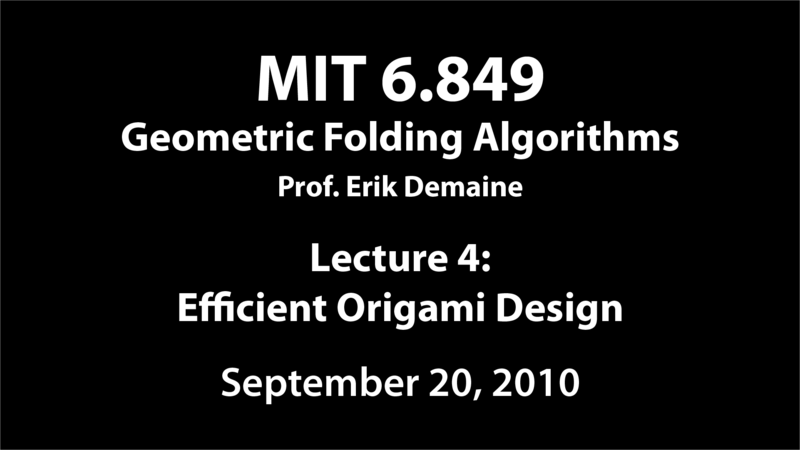 This lecture is all about efficient origami design. We saw in Lecture 2 how to fold anything impractically. Now we'll see how to fold many shapes practically. First up is the tree method, whose software implementation TreeMaker I demoed at the end of Lecture 3. 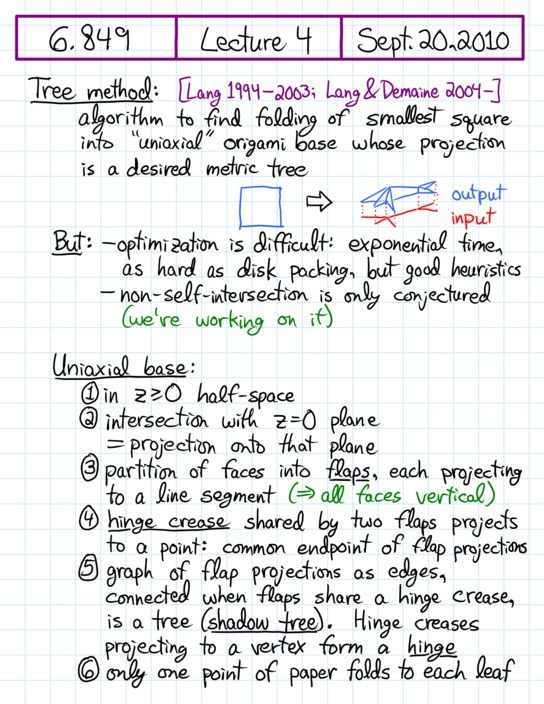 I'll describe how it lets us fold an optimum stick-figure (tree) origami base, although computing that optimum is actually NP-complete (as we'll see in Lecture 5). 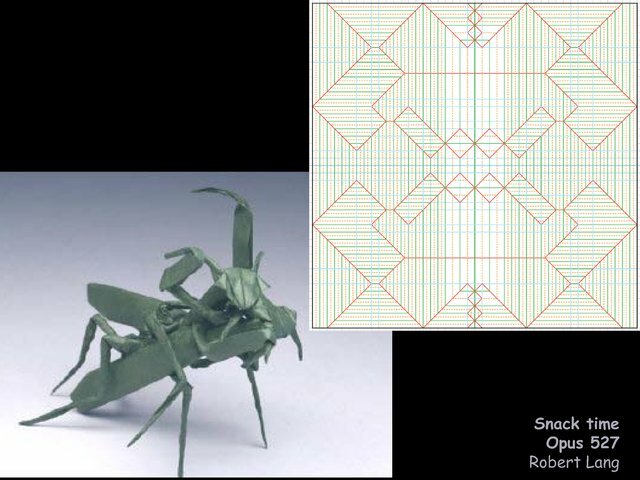 This algorithm is used throughout modern complex origami design; I'll show some examples by Robert Lang and our own Jason Ku. Second we'll look at a simple, fully understood case: the smallest square to fold a cube. Third we'll look at a classic problem that we made progress on recently: folding an n × n checkerboard from the smallest bicolor square. Finally we'll look at the latest and most general method, Origamizer, for folding any polyhedron reasonably efficiently. Here we don't have a nice theoretical guarantee on optimality, but the method works well in practice, provably always works, and has other nice features such as watertightness.